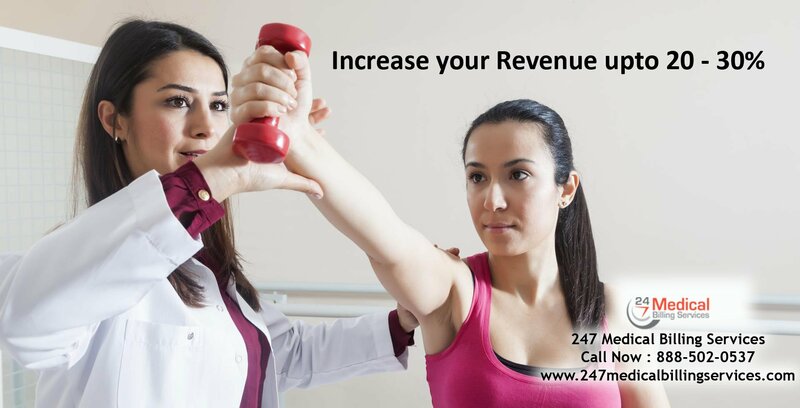 Physical Therapy Billing Services in Alabama, California, Texas, Florida, Ohio, Illinois, Maryland, Michigan, Missouri, New Jersey, NJ, New York, NY, Oklahoma, Pennsylvania, San Antonio, Tennessee, Georgia, Houston. Physical therapy is one of the most important services which give back the movement of muscles for the patients. It is considered that more than 25% of the outpatients who are getting treated for this physical therapy are getting proper reimbursements. When it comes to outpatients, hospitals can earn income when some of the specific codes are used. Our billing service use right codes which will help medical industry to earn money. In most of the medical industries, KM modifier is being used. This software will not take many records. They will only take few records which seem to give only less revenue for any medical industry. So people of medical industry must be careful with KM modifier while entering such details of patients. Since we have got better software for tackling all these dealings with healing the muscles sores, we have got best client satisfaction from our clients. The softwares which we use are specially customized and they are advanced which helps in specific sectors to deal with getting good level of revenues from reimbursements and claims without getting any of the denials. These are just some of the softwares which we are using in our billing services which help our clients to get 100% satisfaction. All of our records are stored in electronic way so there is no need for any kind of paper work. We have created better services for storing all the information of the patient which helps staffs to retrieve records at any time. All the data which we have stored is given perfect security levels with right username and password. Our softwares have secured log ins which can’t be hacked. We offer our services as a whole package in better cost effective pricing when compared with others in market. We deliver best services for the worth of prices. We have some of the happy clients who are satisfied with our minimum pricing levels. We check to all your records for free as a part of our billing service. We have got experts who are ready to do services in any financial as well as technical analysis. By utilizing our services, your medical industry can get good revenue without any issues. The revenue level will automatically rise when you are signing up with us. The medical industry will get good Revenue Cycle Management (RCM) when our services are offered. By using our services there are good options for raising the standards of your medical industry. Physicians will get more time to spend with patients and our user friendly software will be helpful for coping up with heavy schedules. The practice management software which our services are implementing will give time to calculate with better speed and efficiency. Just give us a call to know about physical therapy billing services which we are offering at fewer rates.